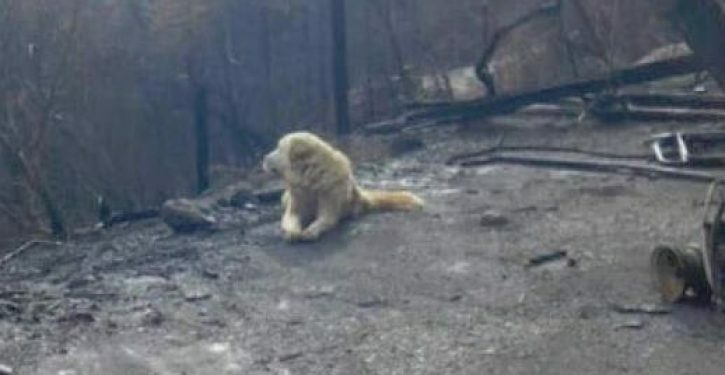 A dog left behind as the Camp fire swept through Butte County last month was found “protecting what was left of his former home” when his owners were finally allowed back onto their burned property earlier this week. The dog’s owner “hoped and prayed” he would be OK, according to the rescue organization’s post. Pet rescue volunteer Shayla Sullivan, who had previously met Madison’s owner on another rescue, returned to the burned property often to put out fresh food and water for the missing animal, also leaving an article of the owner’s clothing.